Posted: November 18, 2014 | Author: thelondoncolumn | Filed under: Food, Health and welfare, London Music, London Types, Markets, Pavements, Performers, Vanishings | Tags: Brick Lane, David Hoffman, London street musicians, one man band, Tower Hamlets, Turkish baths Hackney | Comments Off on Hoffman at peace. Street market, Cheshire Street, Tower Hamlets 1981. As a counterweight to David Hoffman’s images of urban protest which we ran last week, here are a few of David’s pictures of a more peaceful London. Peaceful and largely vanished … these photographs have an elegiac quality to them, glimpses of a city that seems almost as remote as the one pictured by Thomson or A.L. Coburn. In any case, they require no further comment from me … D.S. 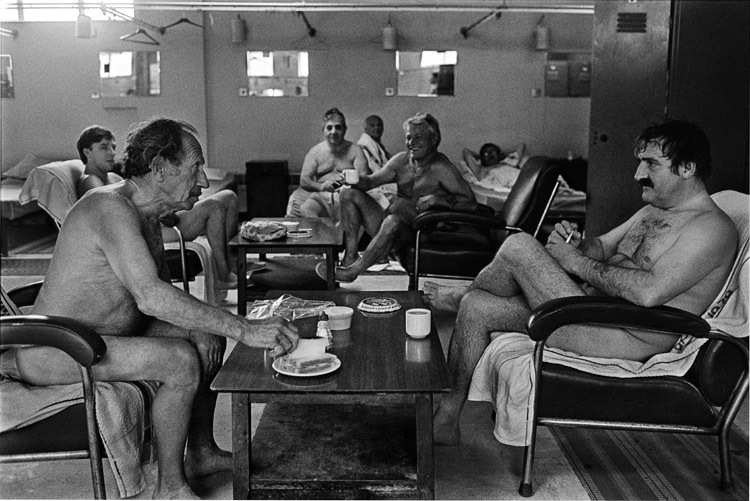 Turkish baths, Clapton, Hackney 1983. © David Hoffman. 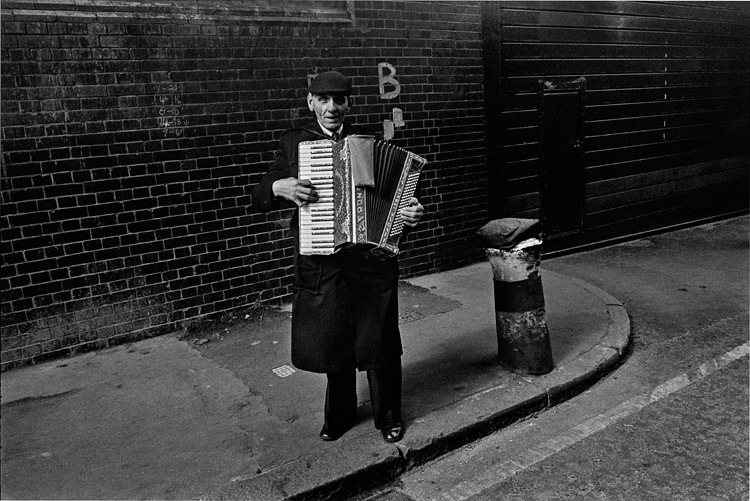 Street musician, Brick Lane, 1978. © David Hoffman. 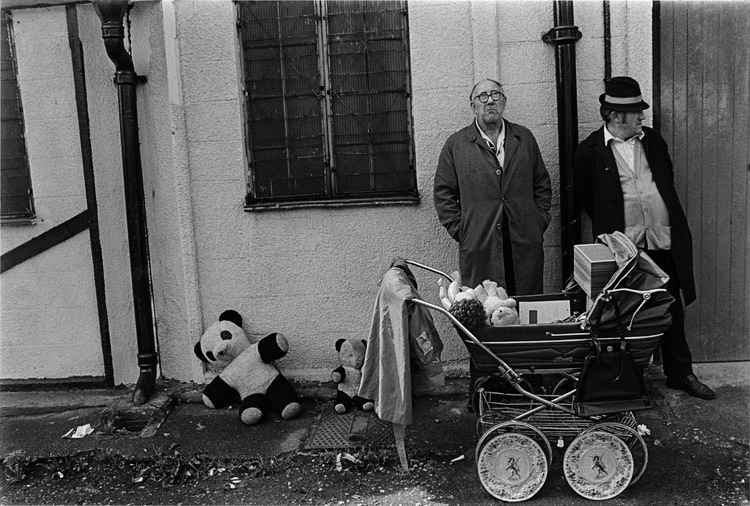 Silver Jubilee, Tower Hamlets, 1977. © David Hoffman. 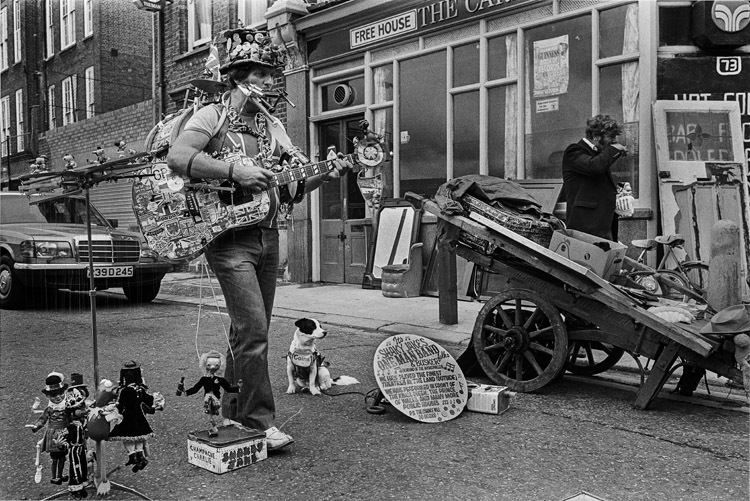 One Man Band, Brick Lane area, 1984. © David Hoffman. 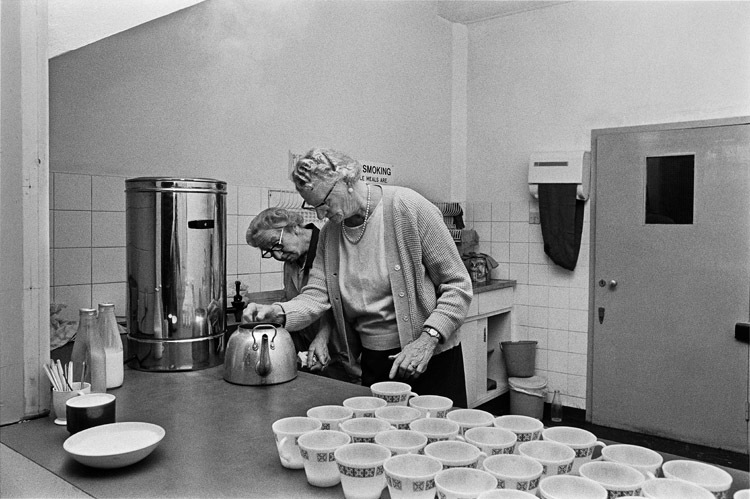 Tea time at an old peoples’ club in Tower Hamlets 1975. © David Hoffman. 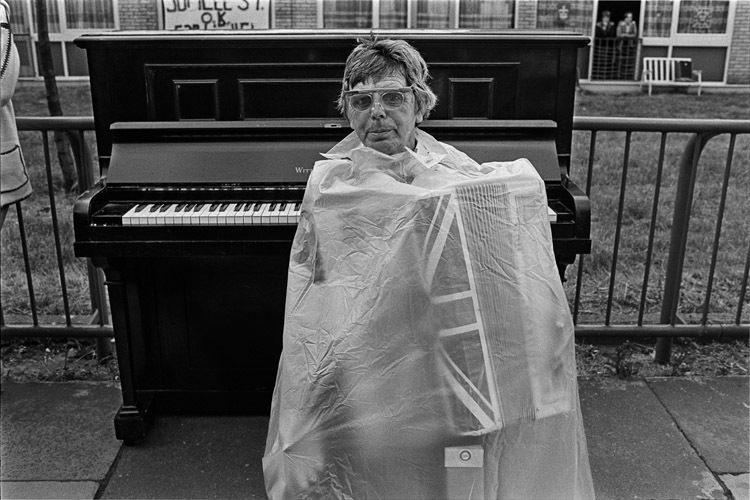 As part of East London Photomonth, David’s images are on display until the end of this month at a variety of cafes forming the ‘Roman Road Cafe Crawl’. David’s show at Muxima cafe runs until 27th of November. More details here.